Before we touch on the Beriwell, you need to know what is Acai. Acai (ah-sigh-EE) berries are a grape-like fruit native to the Amazon rainforests of South America. described as a fruity red wine flavour with chocolatey overtones. Acai is very much being seems as a superfood, with benefits ranging from improved skin appearance to weight loss, though not all of these claims are supported by evidence. Beriwell – the daily-free, gluten-free and vegan soft serve. Never failed to make use of this healthy berry to create the sought after healthy dessert. This is what made Beriwell standout among the dessert shops around. The environment may not be air-conditioned, however, the tropical foliage paintings and well ventilated setting have helped to create a little voyage to the Amazon rainforest feeling. 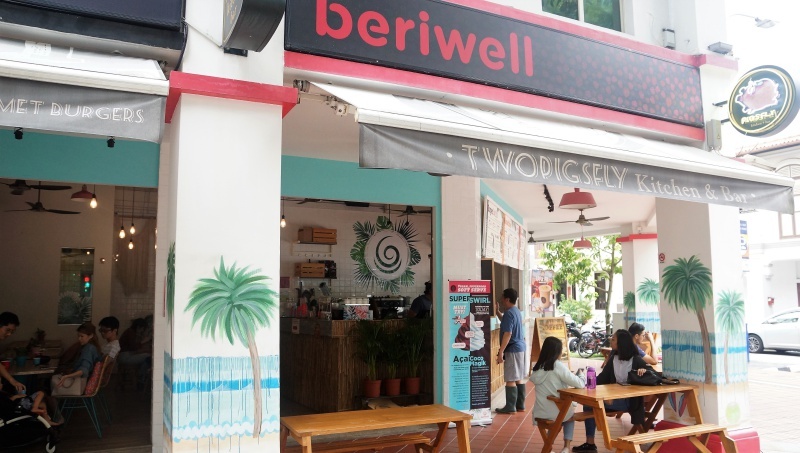 Beriwell’s Superswirl come in 3 variants — the Acaí Superswirl, Coco Majik Superswirl and a cross between the two former soft-serve in The Twist Superswirl, different toppings eg. kiwi, mango, Banana, pineapple, strawberry, granola and hazelnuts are available, you can choose small or large portions with choice of 2 to 4 toppings to go with the soft-serve. 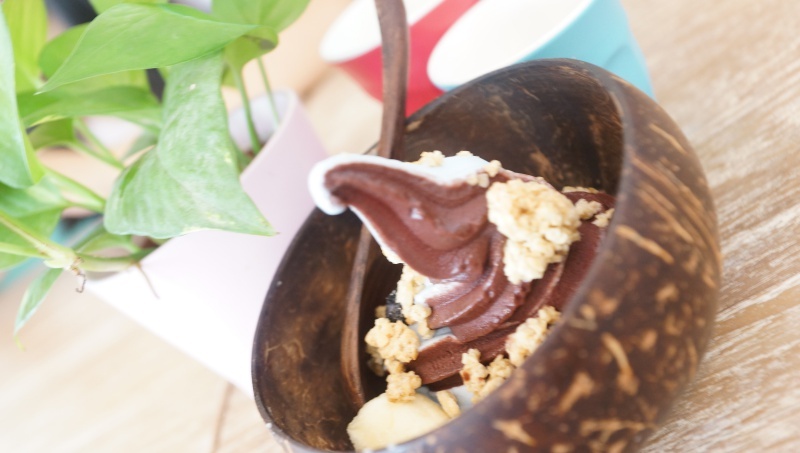 The original Acai Superswirl made with origin Acai berries topped with granola and banana, Not too sweet in a nice smooth texture packed with natural fruity flavour. Beriwell offered in small and large portions with 2 to 4 different toppings of your choice such as kiwi, mango, pineapple, strawberry, granola and even hazelnuts. 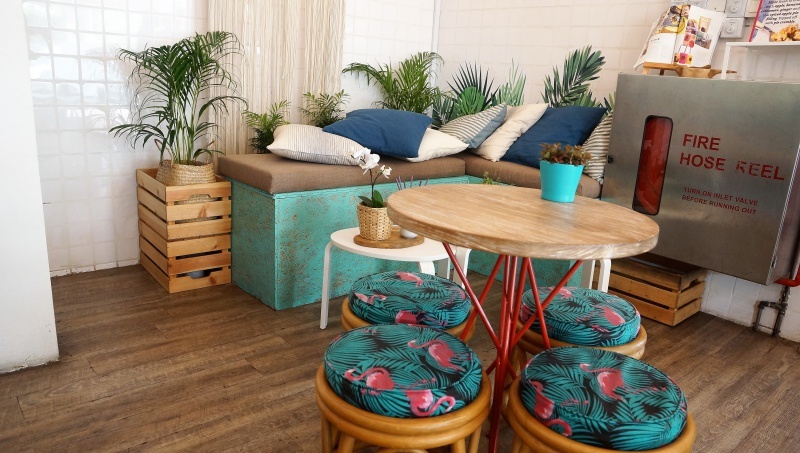 Besides Superswirl dairy-free, gluten-free and vegan-friendly series of soft-serve, variety of smoothies, Milk shakes and espresso-based coffee are available. Frozen blends of natural fruits, we opted the Berry-ade which consists of Acai Lemonade, Blackberry & Blackberry layered with Strawberry puree topped off an Acai Superswirl. Rich fruity flavour and not so sweet smoothies, perfect dessert for Singapore’s type of hot weather. 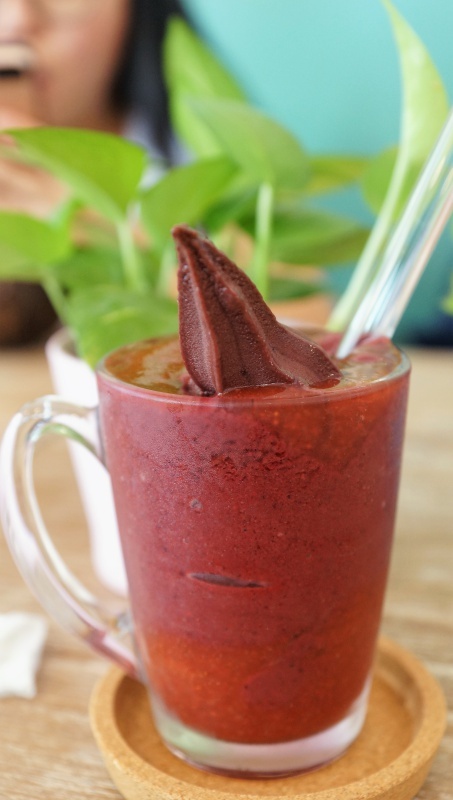 Acai is good for health or just a myth is up to ones guess, however, the cooling Superswirl and Smoothies certainly make the dessert shop a welcoming stopover for a sumptuous dessert.